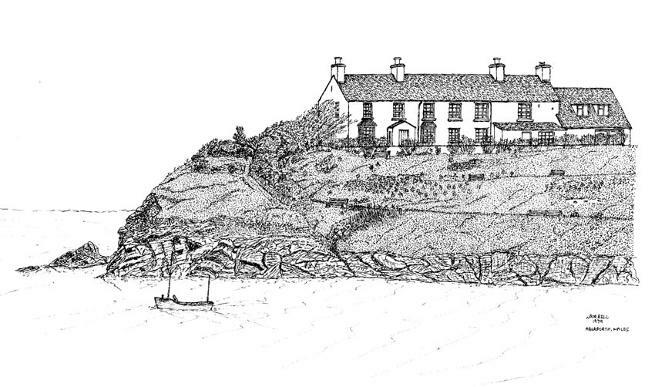 The large house is on the other side of the double horseshoe beach in Aberporth, Wales. One afternoon, when Amy was napping in the backpack, we took a walk up a path that you can see in the drawing. At one point the path was lined with blackberry bushes full of ripe berries. It didn’t look like we were on anyone’s property so we had a berry festival. 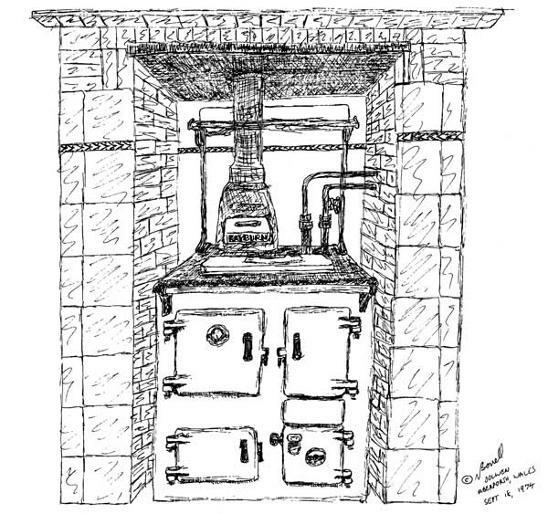 The listing for the house mentioned an AGA cooker which is the contraption in the drawing. I believe it ran on whatever you wanted to burn in it, either coal or wood. Fortunately there was also a gas cooker so we never had to use the AGA. 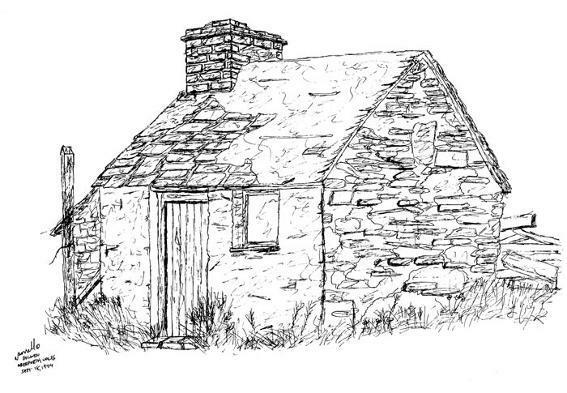 We found Dolwen from a listing in the annual rental catalog from Taylings Holiday Cottages. This was a great source of rentals long before the internet made this type of listing easy. At the time they had at least one listing for an apartment on the grounds of Windsor Castle. Prospective renters at Windsor had to supply a reference from their solicitor and clergyman, and promise not to bicycle in the cloisters. The second time we stayed in Dolwen it was so rainy and cold that we were stuck inside a lot. 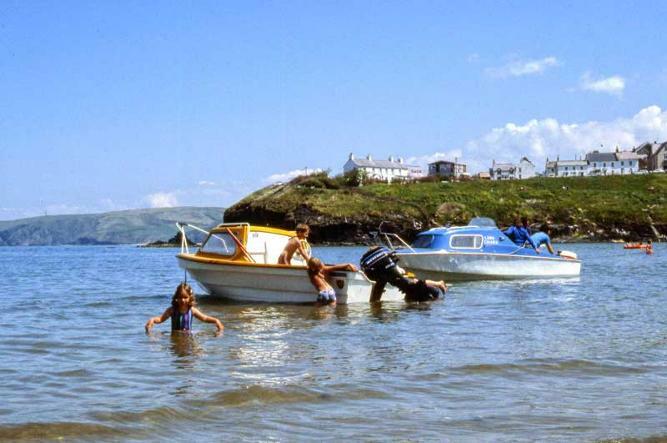 The picture of Amy in the water is probably from the only sunny day. A local group was having a costume party for kids so we made Amy a sugar plum fairy costume. She had a good time but the prize went to a kid dressed as the mascot of the telephone company. I remember it as a duck but it was probably an eagle. 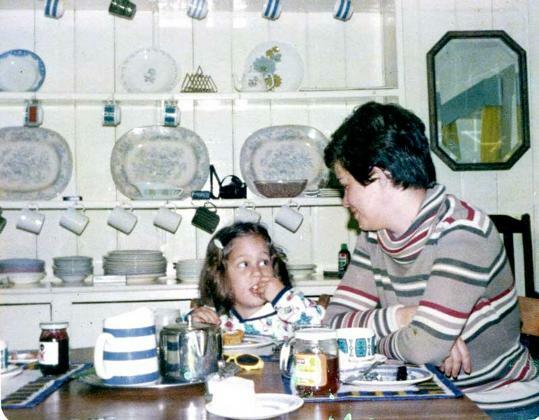 The last photo is teatime in Dolwen.